Island Independence 5K – July 2, 2016 | NC Race Timing and Running Events | Go Time! The Battle for Independence on July 2, 2016. What is The Island Independence? 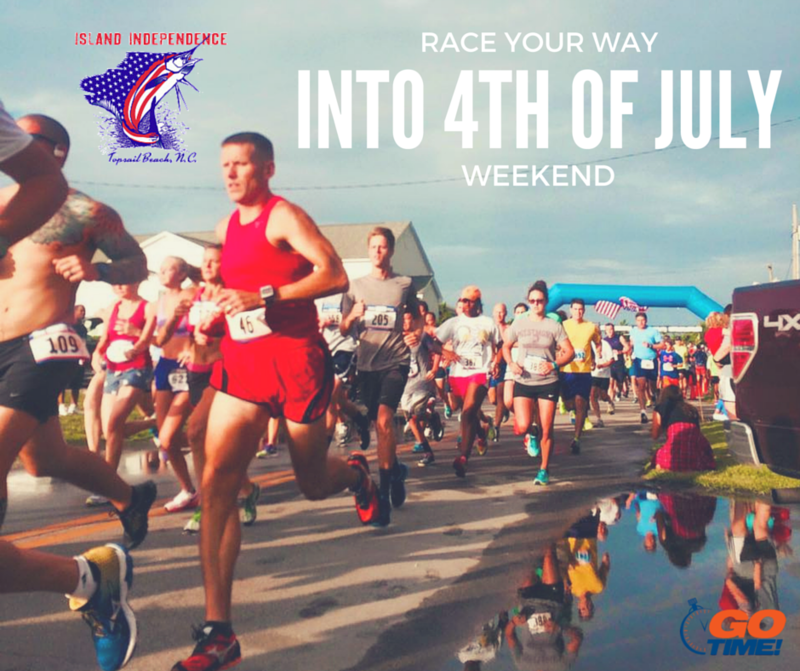 The Island Independence is the largest fourth of July weekend athletic event in eastern North Carolina, and it is getting even better. Not only will our island play host to the largest annual running road race in Pender County, and the largest fourth of July race in the region – this year will feature even more in what makes Topsail Beach an exciting athletic destination: Stand-up paddle boarding. Whether you run the 5K, or paddle your way through the pristine waters of Banks Chanel – there is something to do for all the family members. Are you good at running and paddling? 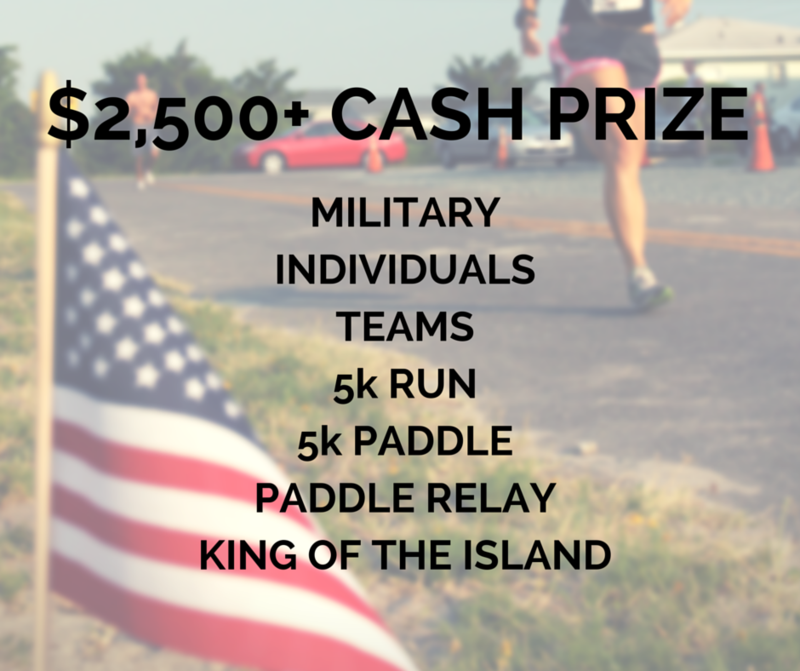 Be the “King of the Island” and compete to see who has the fastest aggregate time in both the 5k run and the paddle. Offering cash prizes at this event helps draw in the best athletes in our region, but our events are indeed designed to be all inclusive. We treat each participant with our famous southern hospitality. Elite athletes race side by side with first timers with high fives and big smiles for all. Enjoy the beach, water views, races, outdoor activities, and great family fun that will be sure to put a smile on everyone’s face during this year’s 4th of July weekend! Please plan to be at the starting line 10 minutes prior to the start of the race wearing your race number on the front of your shirt. You may walk the 5k if registered, however we ask that athletes walking the 5k line up at the back of the starting area. Teams are comprised of five athletes. All teams must include at least two women. Teams wishing to participate in the team awards need to sign up with the team name listed exactly. Then have the team captain verify the correct roster either during packet pickup on Friday or during the preregistration period up to :30 minutes before race start. Members not listed on their appropriate team will not be changed after the race has begun. Team rosters of preregistered teams will be listed on this website, and updated periodically. The Island Independence 5k course is quite simply the fastest 5k course possible. Designed for and by runners this course has been created for speed – with a few nice water views. No 180 degree turns here, just long cross wind straightaways and mild right angles. Want to PR? The net elevation change is fewer than 2 feet. The island is ready for your best. All participants receive a custom beach towel – that’s right, a beach towel! 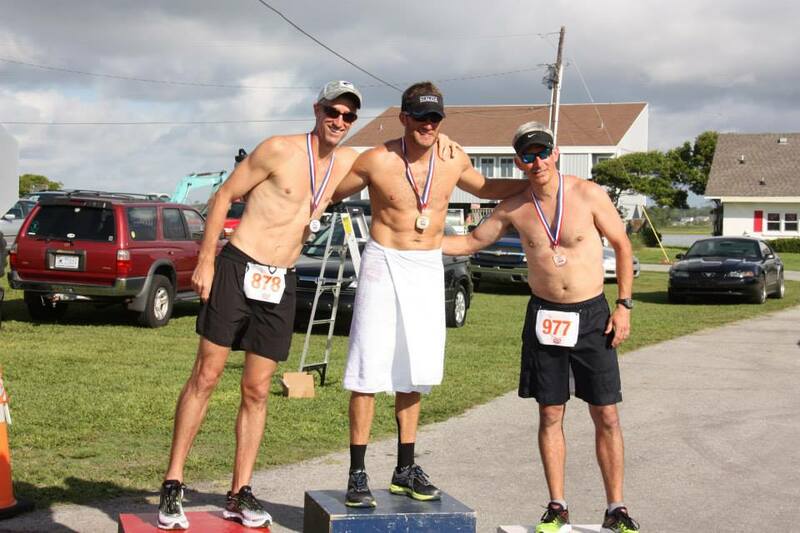 Unlike any other races in the area, you will be guaranteed a beach towel by registering by June 17, 2016. Check back as the race gets closer to see the final design. 9:30 AM – Paddlers Meeting – All competitors of the Island Independence Paddle Board Race MUST attend this safety briefing on the dock behind the Assembly Building. 9:40 AM – One Mile Fun ‘Paddle for Parkinson’s’ – A horn will sound to signify the start, however no results will be tabulated as timing is not provided for this ‘race’. All proceeds from this event will go to the Michael J Fox Foundation. All paddle craft are permitted. 10:45 AM – 4 x 1 Mile Team Relay – Both experienced competitor and novice may compete side by side in this no drafting battle. Paddlers using either 12’6” or 14′ boards will work around the course once before tapping paddles in an exchange zone so the next paddler can take off. Teams may not use the same athlete twice and all teams MUST include at least one female competitor. Please plan to be at the starting line – in the water – 10 minutes prior to the start of the race wearing your race number on the front of your body where it can be easily seen by staff and course officials. 4 x One Mile Team Relay TIMED (Disposable Chip Timing/Live Results) – Four Paddlers each do a one mile loop. This is great for competitive folks that are more interested in paddling one lap, and then perhaps enjoying a cold one. Banks Chanel is a No Wake Zone directly in front of the start finish area at the Assembly Building. Spectators (over 500 or so from the 5k run and others) get direct lines of sight to the entire course. The 5k will be easy to observe, but the longer lap race is even better. The relay should be fantastic with all those participants yet to paddle having knowledge of what has happened and, perhaps more importantly what needs to happen to get favorable results. There is the potential for fast moving tides in either direction and our triangle course will allow race officials to make the call before the race to determine direction. Chop is rare in Banks Channel, so get ready to fly. A minimum of two safety boats will work the inside of our one mile course. The man and woman that have the highest rank from the 5k run and the 5k paddle will be awarded the “King/Queen of The Beach” cash prize of $100 each. This will be scored by taking the athletes OVERALL place in each race and adding them together: lowest score wins. 85 is less than 103 – therefore John scores lower, therefore John WINS. If a competitor is disqualified he will take one more point than the last competitor in the event for which he/she was disqualified. The race director handles all disputes. The Michael J. Fox Foundation for Parkinson’s Research is dedicated to finding a cure for Parkinson’s disease through an aggressively funded research agenda and to ensure the development of improved therapies for those living with Parkinson’s today. With your support, we can all help in the fight against Parkinson’s. Show pride by dressing in Red, White & Blue!